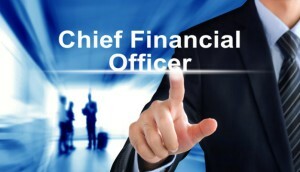 A Chief Financial Officer is an executive who is in charge of monitoring cash flow, financial planning and other financial activities within an organization. If you would like to work in a senior management role and you have studied accounting or finance, striving to become a CFO could be an attainable dream. Before you enroll yourself in an MBA program, it is important that you learn what your duties will be and how demanding the role can be. What is the Basic Function of the CFO? The primary function of a CFO is to perform the administrative, risk management and financial operations within an organization. While they do answer to the president, they are the executive who has the most say when it comes to the company’s investments and how the organization will manage income and operational costs. The ultimate goal is for the CFO to develop strategies and different control systems that will preserve the company’s assets and income. What Tasks is a CFO Accountable For? If you believe that you are able to balance your responsibilities and that you are able to remain accountable for the finance operations, you should take the steps to become a CFO. First, you will need to fulfill the educational requirements to gain the knowledge and learn the methodologies that are taught in school. If you do not have a degree, you can start by studying for a bachelor’s degree in an area like finance, accounting or business. After you have earned your bachelor’s, you can move on to more advanced studies by earning a master’s degree or MBA is almost a must. You will also need to get experience in accounting or finance to build up your reputation. While it is not easy to land a CFO position, you are better off going to openings through a smaller company first. You can strengthen your likelihood of being considered even more by becoming a CPA, according to the Journal of Accountancy. Where there are for-profit organizations there will always be a CFO. The path to becoming a CFO is a long one, but that path can payoff in the end. According to the Houston Chronicle, with the average CFO earning $148,250 per year at a company with sales of $100 million, you can see why so many people are striving to eventually become a Chief Financial Officer.